What GryphonESP can do for YOU! GryphonESP is capable of a wide variety of services. Each service has its own page for further detail. At GryphonESP the basic rule of thumb is, “Will it make the job safer? We probably can do it.” Our extensive list of services is still only a partial representation of what our staff can accomplish. The best way to find out more about any of our services is to ask! Reach out to us at (713) 682-7423 if you want to know more! We are all about protecting staff in high-risk positions. The oil and gas industry is the epitome of a dangerous job. Whether your concerns are for gas detection, fire safety, cooling or shower trailers, specialized safety personnel, training or medical services – we have everything you need for high risk safety. We can provide you with hundreds of products to rent out for temporary short term use. We always have the latest and greatest equipment available so you get the most bang for your buck. With a highly qualified response team, our employees are trained for any emergency. Hire our staff to alleviate any safety concerns during a dangerous job. Rest assured we will do everything in our power to make sure no family is torn apart by tragedy. GryphonESP can provide security services across the United States and internationally. We’re available for long–term as well as immediate emergency services. Utilizing the skills of some of the industries top talent and the best technology available, we can guarantee your satisfaction. GryphonESP provides consultants and well site companyman services in well planning, drilling and completion operations. Our group of petroleum professionals averages over 20 years of experience each and has consulted on thousands of projects worldwide. 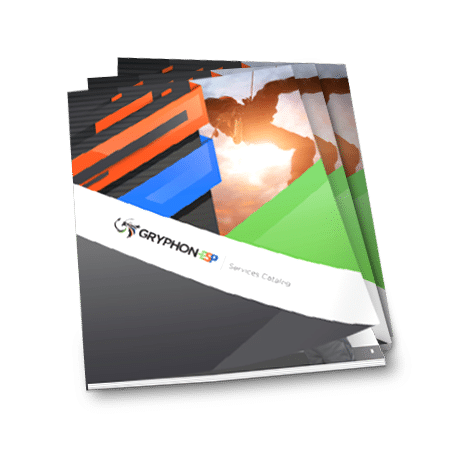 No other consulting group has more experience in completion design and frac execution in more areas of the world than GryphonESP Engineering Services. Absolute safety is our priority, and we want to make sure you are well equipped for the dangerous jobs this industry requires. We have the top brands, and we add new products regularly to make sure we offer the latest high-quality equipment. GryphonESP offers several courses for safety training to those looking for a certification to work in the oil field. Read more to see the extensive list of training courses we can provide for you!